A Conquistador stares with dark dangerous eyes; the last of the bison cross the rocky divide; a woman kneels next to an oxcart in a dusky field picking vegetables. 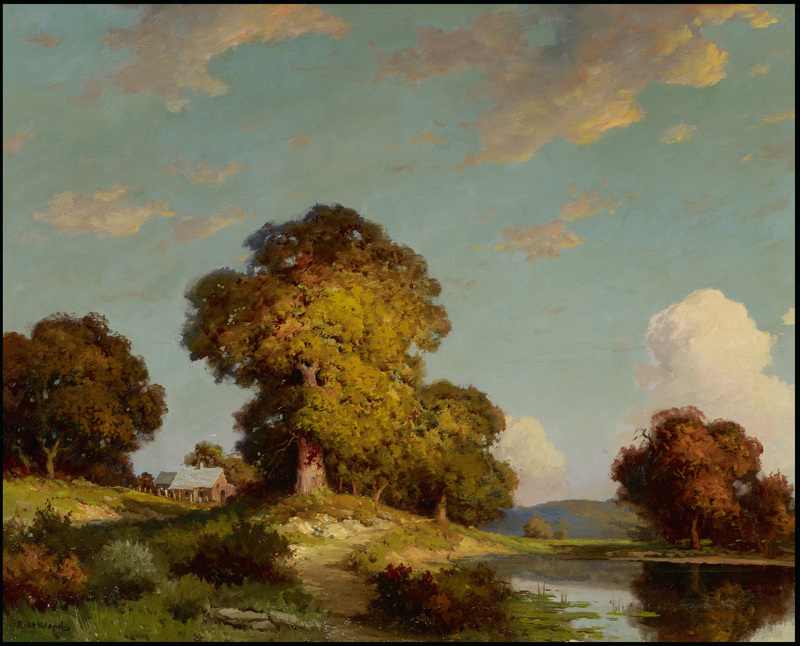 An exhibit called “Deep in the Art of Texas” is now on display at the Art Museum of South Texas. 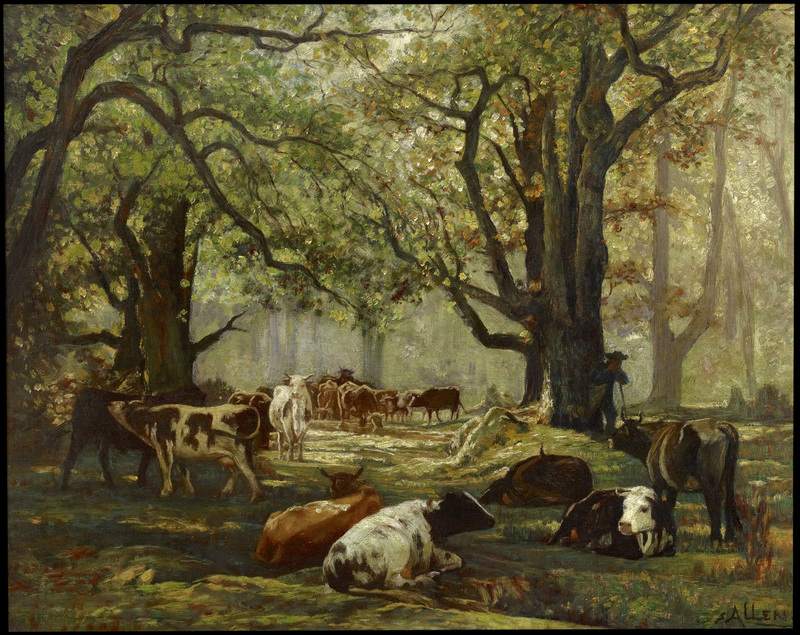 It is a hundred years of paintings, from 1850 to 1950, when all the land was a canvas for heroes to paint their dreams upon. 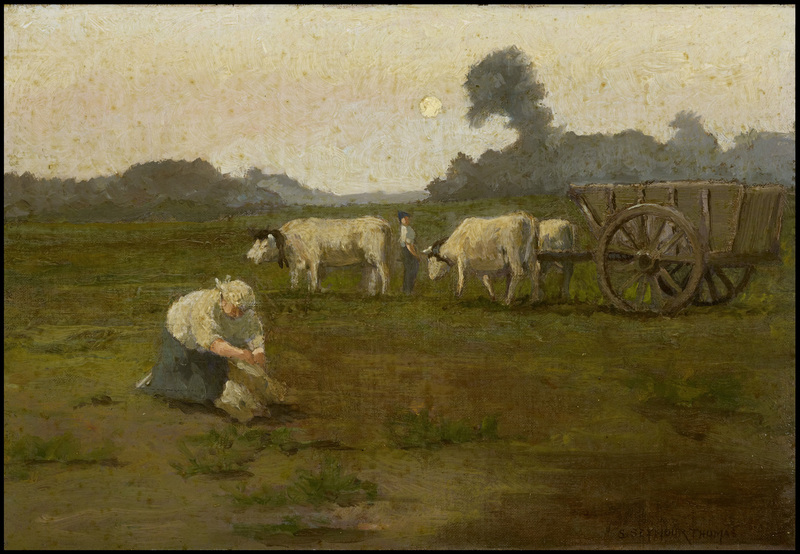 The land changed these pioneers, and with their plows and cattle, they changed the land. 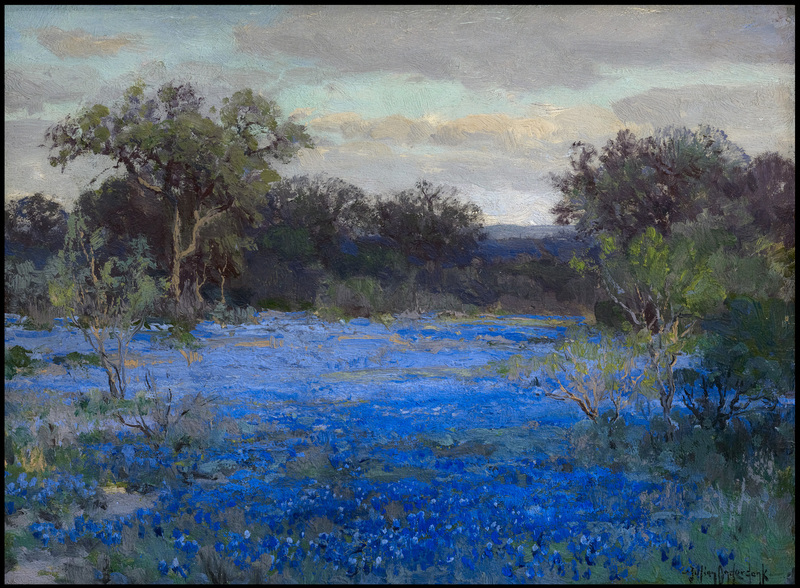 The paintings depict the deep blue water of the Gulf with ships sailing upon it; the pink and purple cliffs of the Big Bend; and the ocean-like fields of bluebonnets with dark hills in the distance. In one image, a herd of cattle sleeps in the forest, as they do on our farm; and in another, free-born farmers pick cotton in a white sun-drenched field. 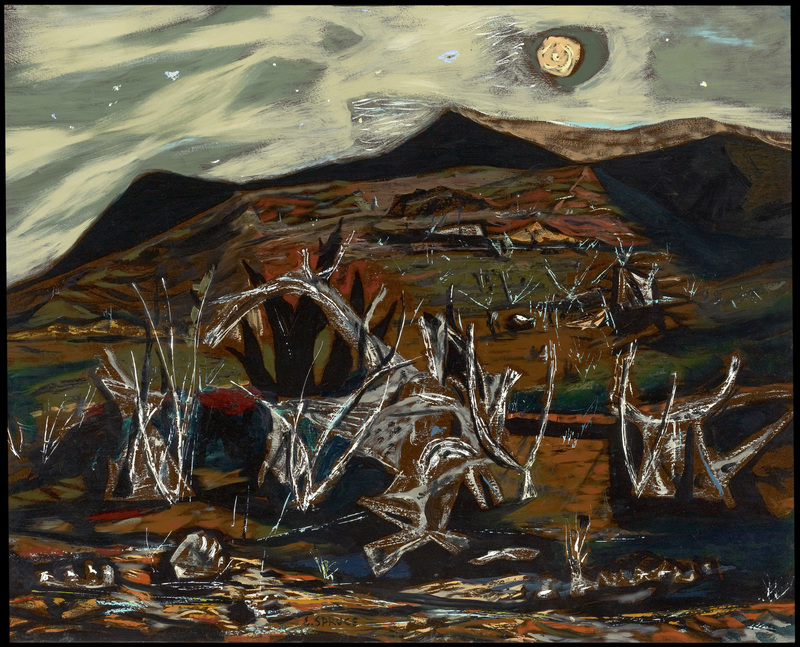 Renowned artist Frank Reaugh mixed sand with his paint, so the grit that blew out of the Davis Mountains and choked him as he painted would forever be a part of his picture of the high desert. A good painting speaks. You can read a dozen pages of history and not learn as much of the people or the place as from one good painting. In one scene, Iwonski portrays an Indian child, in the year 1859, holding a watermelon. For Indians, a melon was a symbol of friendship, and the child freely offers this gift from his well-tended garden. This child would grow up to witness the utter destruction of his culture, and a later painting, from 1890, shows a melon busted on the ground and covered with yellow jackets. The paintings also capture the faces of the cowboys, black, white, and Hispanic, before they became legends, when “cow boy” was a term of derision, and the paintings reveal them as they were: pensive, tough, wild, and lonely. “Deep in the Art of Texas” depicts the grand adventure of our history, the beauty of the land, the skill of the artisans, the freedom to become whoever in this world you dream to be. These images are from art, and from life, and they are hanging on the walls of the museum like portals into the distant past. Looks like you guys have a really great thing going on in Rockport. And what a sweet family! Urban Roots is a youth development organization that uses sustainable agriculture to transform the lives of young people and increase access to healthy food in Austin and I recently joined their board. We have a group of 30 youth who work paid internships on the farm throughout the spring and summer. I hope I’m not too bold in asking, but you would have any time this month for me to stop in for a tour? I’m very much in the learning process on the agricultural side of things and need all the help I can get.